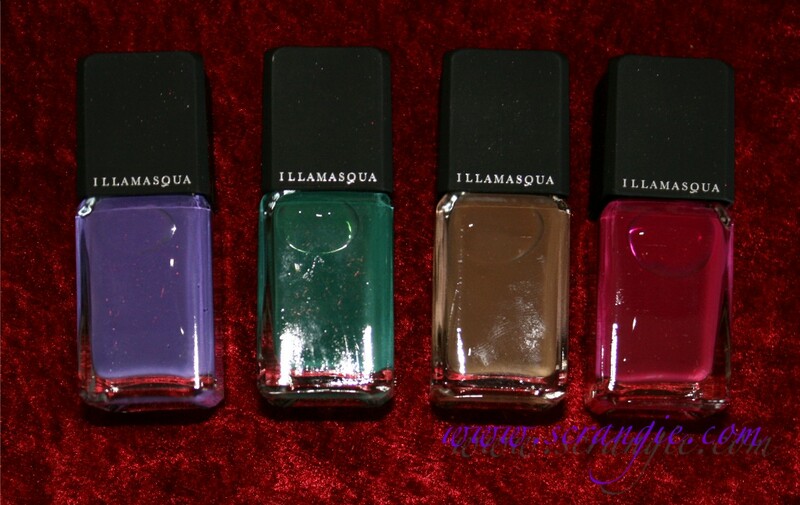 Illamasqua's collection for fall 2011, called Theatre of the Nameless, may just be my favorite theme yet. 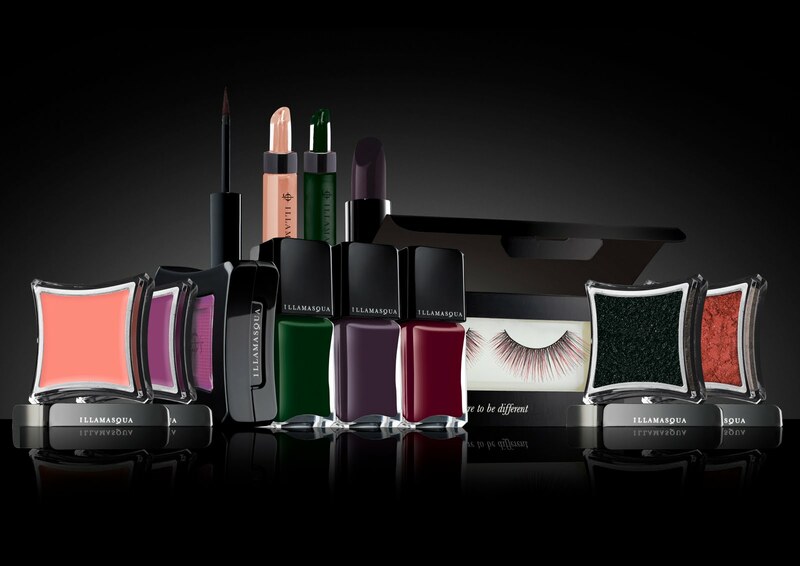 Illamasqua is a relatively young brand, but in the short time they've been around, they've made a huge impact. Amazing artistry, edgy colors, quality formulas and the ability to transport you to another world just through the story their colors tell are the hallmarks of the Illamasqua brand and something I always look forward to each season. This year's fall nail colors are inspired by the color coding used by the 1920s-era Wittenberg Platz Boot Girls. The Boot Girls would advertise their services by the color of their boots, and while the details are slightly too NSFW for me to post here, one can easily find the details online if curious enough. All of the fall lacquers are designed to have a wax-like rubber finish. The colors are: Faux Pas, Kink, Taint and Vice. The packaging has received a bit of a makeover for fall as well. Note the rubberized cap on the bottle which indicates the new 'rubber' finish as well as the matching colors on the box labels and the front cutout for viewing the color. Faux Pas. This is a purple creme with a semi-matte 'rubber' finish. Like most purples I photograph, this one appears too blue. Think China Glaze Grape Pop and you'll have an idea of the actual shade. Kink. A deep blue-toned green creme with a wax/rubber finish. Taint. A dirty taupe creme with a rubber finish. This one is a color changer on me. It looks brown in some lights, more grey in others, and in between the rest of the time. It also dries darker than bottle color. Vice. Purple berry creme with a rubber finish. As much as I constantly hate on berry-colored nail polish, this one isn't so bad. I actually like it. 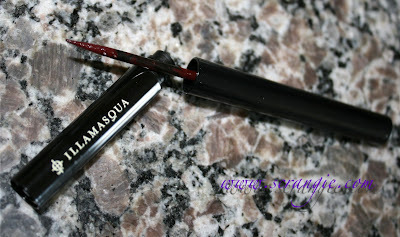 Illamasqua describes it as 'cerise'. I think it looks like diluted beet juice. You know... I'm still not crazy about that half-matte look. I just can't get into it! I get what they were going for, but it still seems so in-between looking to me. So, I experimented. For reference, all four shades in their original rubber finish. Faux Pas, Kink, Taint, Vice. Faux Pas, Kink, Taint and Vice each with a coat of glossy topcoat. Faux Pas, Kink, Taint and Vice fully mattified with Essie Matte About You matte topcoat. I love these colors a million times more with a proper matte finish. Maybe one day I'll love the wax/rubber finish. But not quite yet. The formula on these was excellent. Thin and easy to apply, but not runny. Not thick like most mattes. They all needed two coats and that's what I'm wearing in the pictures. I had some bubbling, but that's entirely my fault. I rushed and put on too thick of a coat too fast after the first one. When I waited a minute in between coats I didn't have a bubbling issue. 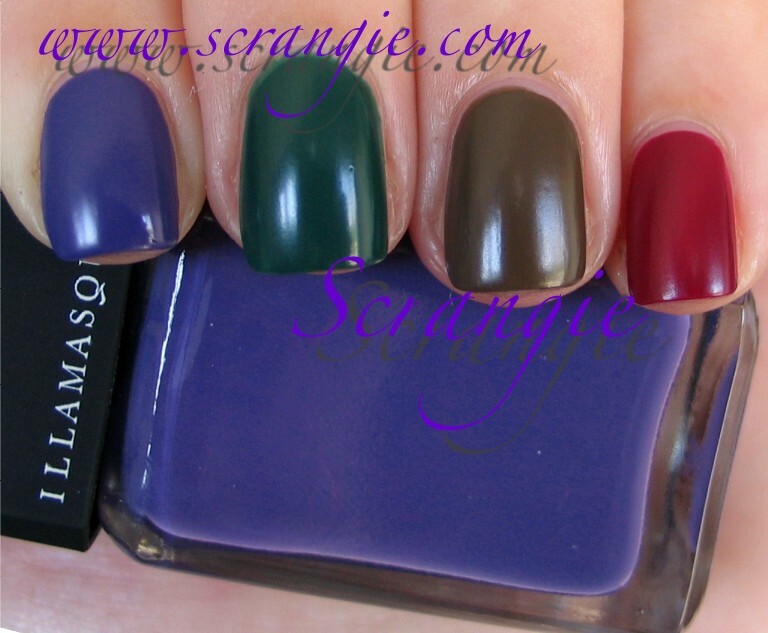 Dry time is not as fast as most mattes but still faster than the average non-matte polish. I have not worn these long enough to test the wear time. I've also received the fall collection's new shade of Illamasqua Precision Ink, Havoc. Havoc comes in the same sleek black tube as the rest of the Precision Ink liners. The same firm, pointed felt tip applicator as well. 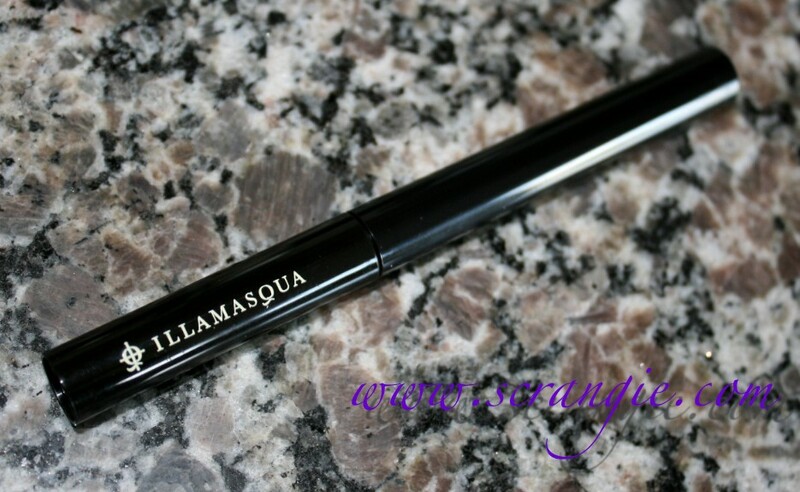 Illamasqua Precision Ink Waterproof Liquid Liner in Havoc. The shade is a matte dark maroon. In some lights it looks warm brown, in others it looks more red. Here in natural light it shows its redder side. Instead of doing an eye look using Havoc, I tried it out for some freehand nail art which is quite an accomplishment with my shaky hands. Here I used a base of Illamasqua Taint and used the Precision Ink liner in Havoc to do a freehand half moon manicure. I coated the entire mani in a coat of matte topcoat. Here I used a base of Illamasqua Vice and then used the Havoc liner to do a freehand french tip. Again, I applied matte topcoat over the manicure to give it a less shiny look as Havoc has a semi-matte finish similar to the lacquers. 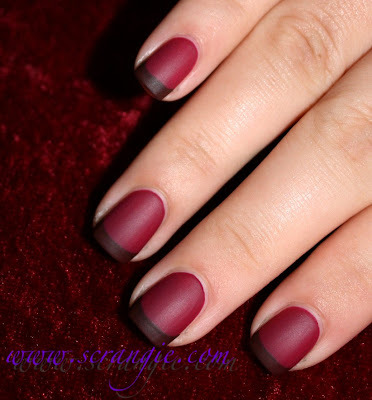 This mani makes me think of chocolate dipped raspberries. The Precision Inks are really easy to use for nail art. The thin liquid liner texture is great for drawing since it's not thick and doesn't start getting dry and gooey right away. The fine point is another feature that makes the liner good for nail art. Once you coat it with topcoat it looks just like nail polish, otherwise it has a rubbery look like the polishes from this collection. This collection is now available at Sephora (US) and Illamasqua (UK). I love the rubber finish. So unique! I really want Taint. Must resist. Also, love your "chocolate dipped raspberries" nail art mani. The two colours put together are gorgeous! I am really digging the rubber finish on these! Not feeling the rubber finish. It just looks like the manicure got smudged while it was drying. 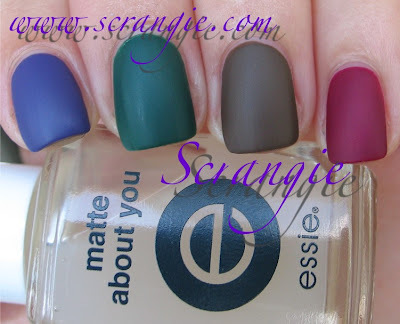 That said, I'm not a huge matte fan but they look way better as full-on mattes! The glossy isn't bad, but the colors just aren't interesting that way. The colors are nice, but I'm with you on not really digging the rubber finish. I prefer either glossy or matte. Your nail art is great! :) I loved seeing those looks on you. Amazing job, Scrangie! I love the rubber finish! I really like the mani you did with Taint and Havoc... I would have never thought to use an eyeliner like that! Once again, you've gone above & beyond and the results are stunning!! I'm no good with brush, but give me a marker or a pen and I can do nail art all day. I'll be trying this very soon! I'm so loving this collection overall. Though now having seen your swatches, I wish I had ordered the green nailpolish instead of the purpley-blue, darnit. You know, I'm actually pretty down with the semi-matte finish. I like it. It's unusual - and this is coming from someone who, up until a few months ago, *loathed* anything other than a shiny and sparkly finish. I'm liking the finish. I also love the names. :) I'm a sucker for anything from the 20's. I'm not a huge berry fan either, but am loving Vice. 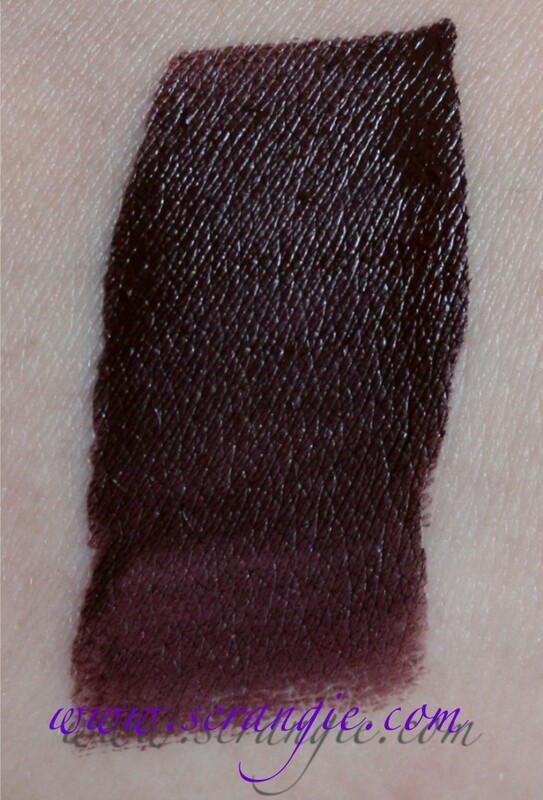 I normally don't really like mattes (or anything non-gloss / non-sparkly), but I might have to try Kink. 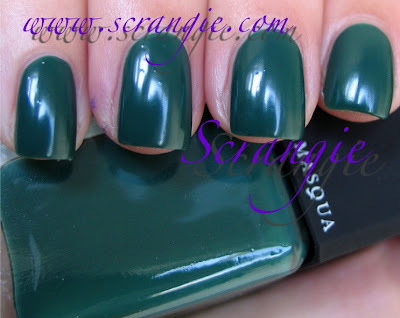 Sucker for anything green...hope it wears better than the matte dark green Zoya I've got, which lasts maybe 10 hours before chipping. Sarajean, if you you try that green Sheer Lip Gloss, report back! I've got a couple of the "Intense Lip Gloss" colors and they're like *pure* pigment (in gunk). 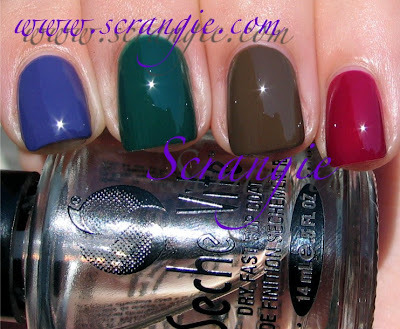 The finish reminds me of the Orly Plastix collection. How long-lasting is it? I love the colors, I don't mind the finish, it's something different. I think I need Kink and Rampage! Oh wow! All so great! Love it! Liner for nails! I wouldn't have thought of that. I think it looks amazing together. And I like the color of the liner in general anyway. I kinda wish they had done a true red so it would look like traditional wax seals on your nails. I love the satin finish. Kink is my favorite. Your manicures are amazing looking. I just wish I had some free edge to do that manicure. Love the eyeliner also. I do own any of the makeup just some of the polishes. I couldn't find any information on the Boot Girls and now I'm super curious!! Got a link to some info? must have kink. !!! that rubber finish is hot hot hot! Excellent nail art! I love the vampy colors. 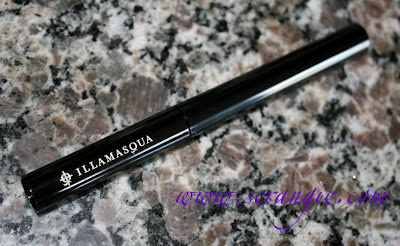 I love the liner too! These look cool. I happen to like the rubber/wax finish and I've never really cared for the matte finish. Kink looks divine!